The Lara property Lochnaben hosted 1300 head of Corriedale sheep, at its peak, across its sprawling acreage at Lara in the shadow of the You Yangs. The family of Beryl Wilks, nee Spalding, sourced the Corriedales from Jack Myers’ stud at Lismore. They’d bring the rams back to Lara in an old ’57 Customline Beryl’s dad bought from Heath Ford in Geelong. Come springtime, the sheep would be driven to the nearby Elcho estate to be shorn of their coarse 27-micron wool, which would then head to the Geelong waterfront woolstores to be sold by Strachans brokers. Beryl’s brothers would clamber atop the bales, some of them up to 240lbs, as they were carried up the elevators. Few health and safety issues back then. The farm’s Corriedale flock fluctuated in size, steadying at around 600, most of them reared for wool but a good few also destined for Freddie Herd’s abattoir on Bacchus Marsh Road or the Geelong saleyards. They might wind up at Penny’s butcher shop in Newtown or on the menu at East Geelong’s Elephant and Castle pub. Lochnaben, with its welcoming driveway rows of cypress and agapanthus, hosts a cream and brown Federation timber home; the front verandah looking toward Geelong, its rear across to the You Yangs. 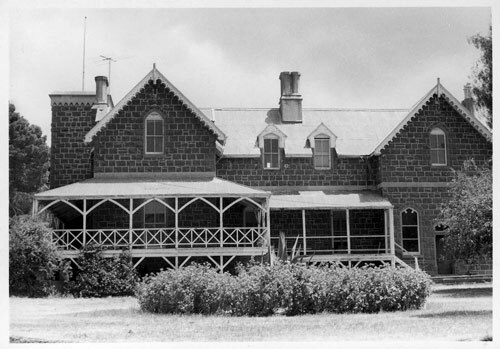 The house was built in 1905, after the original Elcho was subdivided two years earlier. Elcho would later host the illustrious James Guthrie Corriedale Stud, the best in Australia. James Guthrie Corriedale Stud, the best in Australia. Beryl still lives at Lochnaben, with husband Bill, who grew up next door. Sheep graze in their front paddock, beside it a corrugated iron woolshed that in the early 1960s brought an end to the annual Elcho sojourn. Magpies, honeyeaters, sparrows and parrots are their closest neighbours and cars whip past their homestead at 100kmh along the western end of Patullos Road. The cars will probably soon be slowing. The bird population will most likely be increasing and diversifying. And the Corriedale legacy will be recalled with a modern makeover – Coridale – to the north of Lochnaben. Coridale will be a Wilks/Spalding family legacy as the property is transformed into an 1179-lot premium residential community by one of Australia’s foremost innovative and forward-thinking residential developers, Villawood Properties. 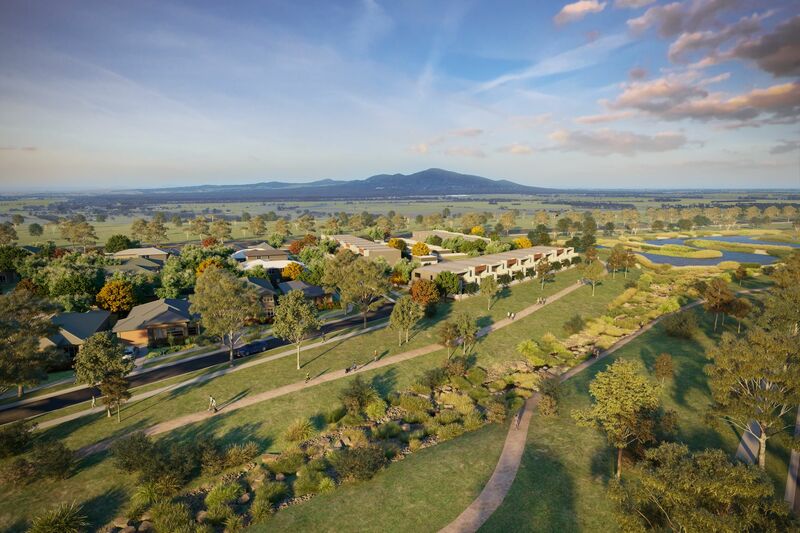 In one of the most dynamic regions in Australia, between Melbourne’s west and Geelong, Coridale will host Villawood’s signature parks, tracks, trails and residents club along with environmental and sustainable water and energy measures. The 88.9-hectare project, on O’Hallorans Road, will make up around 20 per cent of the burgeoning Lara West precinct’s total complement of 6000 new homes in coming years. Villawood’s dozens of industry awards have raised the bar for residential communities across the country. Its nearby Armstrong Mount Duneed community is the current recipient of the Urban Development Institute of Australia’s Best Masterplanned Community award. Coridale will lift that bar higher again. 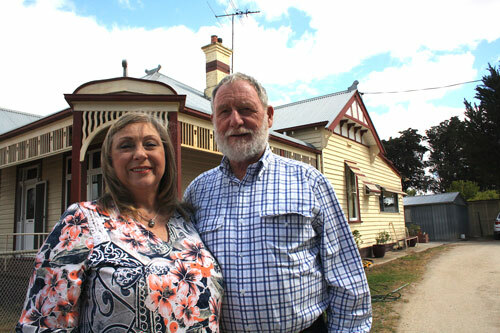 Neither Bill nor Beryl Wilks are surprised by the changes unfolding at Lara. 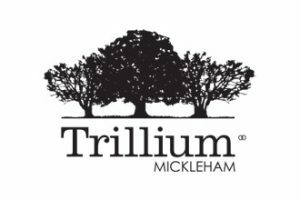 The town’s popularity as a residential address stands to reason, Bill says. “You’re not right in city, you’ve still got countryside around you,” he says. “But there’s easy access to Avalon Airport, and to Geelong and Melbourne. Beryl agrees. Mixing rural and suburban life is a terrific recipe for a growing family, she says. “When my boys were younger, before they drove, they would take their surfboards to the Lara station, catch a train to Geelong and bus to Torquay, go surfing for a couple of hours. It was easy,” she says.